Nobody likes dealing with messy food scraps, but the kitchen isn’t clean until benches are wiped and rubbish is tossed. 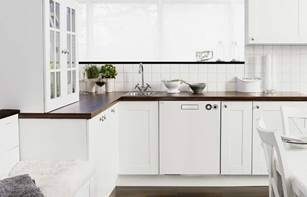 Unfortunately, a lot of people neglect the inside of their appliances, often rarely cleaning them at all, so ASKO developers introduced multifunctional self-cleaning products, including dishwashers, that remove food and other residue while simultaneously shining your appliance from the inside out. Does your dishwasher need to be cleaned? ASKO were one of the first appliance manufacturers to understand the full potential of multifunctional products. With versatile technology come features that multi-task, including dishwashers that clean themselves. Reticence toward purchasing a dishwasher used to be attributed to double-handling during the rinse and wash phases, but that’s not a problem with ASKO dishwashers. Our appliances do the tough rinse for you, allowing you to keep the kitchen clean with minimal effort. The are several design factors that facilitate easy cleaning of ASKO dishwashers. Scandinavian appliances are all about balance and harmony, including faultless operation when it’s time to get down to hard cleaning. Here are just some ways ASKO dishwashers make washing up a breeze while also cleaning themselves. Super Cleaning System+: Pre-rinsing your dishes is a thing of the past when all you need to do is shake off the food scraps and load the machine. Extra Large Capacity: Wash larger loads than ever with dishwashers designed for 82cm and 86cm cabinetry. Seamless design makes the generous loading capacity possible. 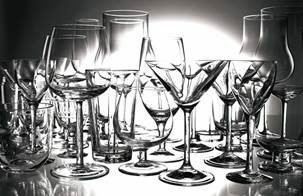 Turbo Drying: Remove moisture once the cycle is complete, while allowing dishes to dry, streaks to disappear from glassware and your appliance to remain clean and fragrant. Flexible Racks: Save energy and water by doing all your washing at once using jet spray zones, flexible racks and the roomy, stainless cavity. Self-Cleaning: For hygienic cleaning of the dishwasher tub, spray arms, spray pipes and spray nozzles, using dishwasher detergent, citric acid or other dishwasher cleaners. With ASKO, all the above features and more work in synchronised harmony to achieve clean results all-round. 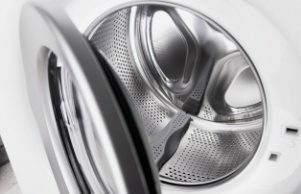 The self-cleaning program can be run without any dishes in the appliance, while other cleaning-enhanced programs function every time you wash. Cleaning programs are aided by a concealed heater, hot air, timed program settings and telescopic rails that allow users to access the entire dishwasher. When situated within cabinetry, your built-in or fully integrated ASKO dishwasher will look clean and smell fresh before, during and after use. Are dishwashers easy to clean? Your ASKO built-in or fully-integrated dishwasher is one of the easiest appliances of all to clean. No more are dishwashers used as storage space for kitchen overflow, or an impractical bench top with little support. Today’s ASKO products are worthy of a full-time job in any Australian kitchen, and consumers agree. Appliances need to save users time as well as provide superior performance. 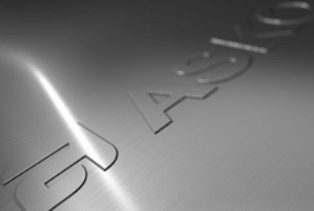 ASKO designers understand the equation and lead the evolution of dishwashers suitable for Australian homes. It’s finally possible to step away and let the dishwasher do all the work, including cleaning itself, using programs, modes and features that can be tailored for personalised style. Does it take long to clean a dishwasher? ASKO dishwashers are constructed using the best stainless steel for many components. The manufacturing materials don’t decay and are expected to last for the lifetime of the product. Your ASKO dishwasher can look showroom fresh for many years of reliable service, and the occasional inspection or wipe-over with a soft cloth and light detergent is all you will need to do. How can you prevent a dishwasher from becoming dirty? In the past, dishwashers got dirty due to underuse. It’s true that it sometimes is easier to rinse a couple of dishes yourself or even leave the dishes until later. 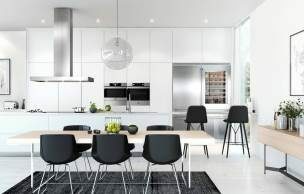 Everyone has their own style, and ASKO aims to please everyone; that’s why ASKO dishwashers are changing the way new kitchens are being designed all over Australia. ASKO developers understand that a machine designed to use hot water and pressure should be able to do more, including cleaning itself from time to time. 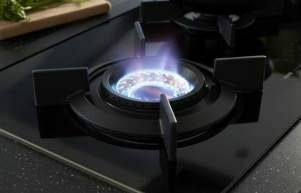 ASKO offers smart product solutions for Australian households that require efficient, effective and versatile appliances.